We all have not so great days and today Ballpen Girl allowed me to leave the ‘baddies’ behind! They are truly just my attempts at drawing that makes me feel happy as every time I see a finished drawing of her, she makes me SMILE!! Today the extra smiles came from everyone who liked the clay model of her and her dog! 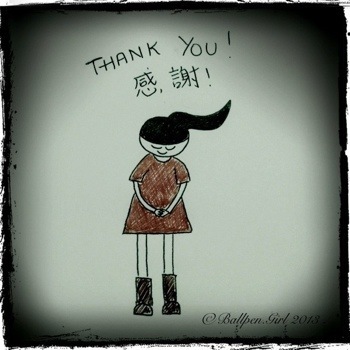 So I just want to say thank you to everyone who likes Ballpen Girl’s drawings and for all the kind words you have said!